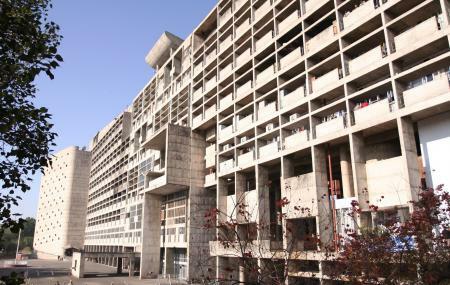 Le Corbusier Centre is a museum dedicated to the talented Swiss-French architect Le Corbusier, established by the Chandigarh Administration. The architect himself had used this building while conceptualizing the city 60 years ago. The museum preserves and researches his life and works, displaying his paintings, so as to portray the rich cultural heritage of the city and give the audience an insight into its past. Sitting proudly for years, this landmark building is a must visit. How popular is Le Corbusier Centre? People normally club together Sukhna Lake and The Rock Garden Of Chandigarh while planning their visit to Le Corbusier Centre.